Classic Shave Cream is so smooth and luxurious it doesn't require a shaving brush. 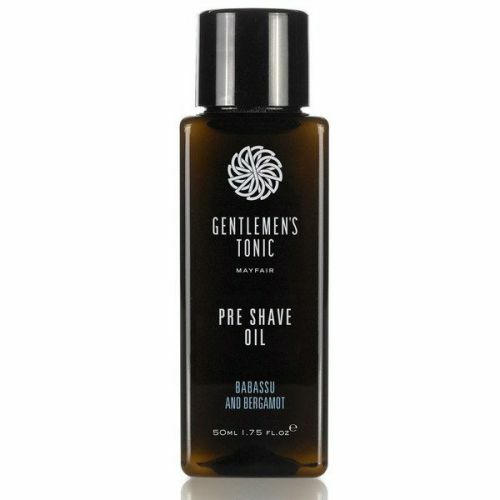 With an extremely moisturising formula Gentlemen's Tonic created the best non lathering shave cream available. This exceptional cream softens the beard and protects the skin ensuring an incredibly close shave with maximum comfort and an extremely smooth finish. Grape Seed Oil: light, non-sticky oil providing an excellent moisturising barrier between the skin and razor blade. Ideal for shaving. Aloe Vera: cools, soothes and heals the skin preventing razor burn, redness and sensitivity. Rosehip Oil, high in Vitamin E - a great scar healer. With Coco Butter, works as an excellent moisturising emollient. Babassu Oil: melts at body temperature drawing heat from the skin producing a cooling effect. Also forms a protective, soothing coat providing a luxurious, velvety feeling. Bergamot Oil: an essential oil renowned for its uplifting and tension-relieving properties. Apply shave cream to the area to be shaved, gently shave with the grain and rinse your razor regularly throughout for a smooth and comfortable shave. Shave after bathing/showering when the beard is at its softest.